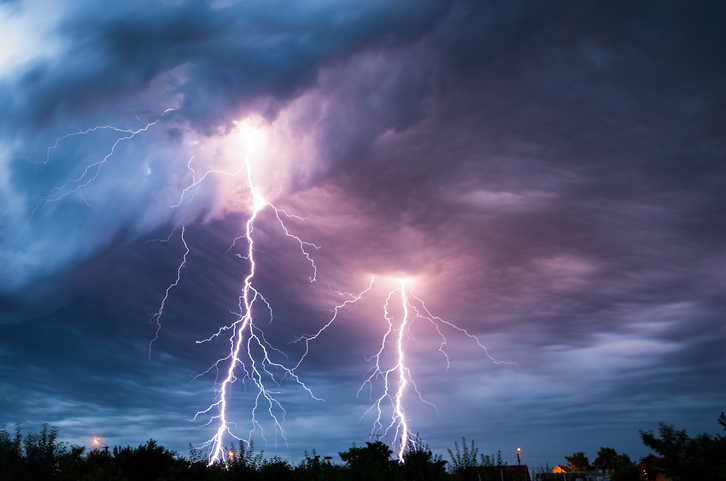 Spring and summer means that storms will become more common. Learn what to do if your trees are affected. Almost every season is known for storms, whether it’s the whipping snowstorms of winter months or the sudden thunderstorms of summer. Unfortunately, storms do a very good job at damaging and killing trees in residential and commercial properties throughout the country. If you are dealing with a tree damaged by a storm, here are our top tips to keep you safe and manage the aftermath. Are there any branches, tree limbs, or parts of the tree hanging or leaning against power lines? Do not touch anything! Call Nelson Tree Specialist immediately to assess the situation and take care of safely removing them. Even broken-looking power lines can still be live wires, so don’t take a chance. If you spot any of the above signs during your storm clean-up, call a professional so that they can help safely clean up the situation. Trees in immediate danger of falling should never be handled by homeowners who don’t have the proper equipment or training. Not addressing the situation properly can result in an injury to you or further injury to the tree. Many times, a homeowner thinks that they properly rectified the situation only to find out that the tree died or had problems as a direct result of the improper care. Storm Cleanup from Nelson Tree Specialist! This entry was posted on Thursday, March 23rd, 2017 at 10:28 am. Both comments and pings are currently closed.